1. LYDIA STONE, b. 1693, Lexington, Middlesex Co., Mass. 2. Isaac Stone, b. 1695, Lexington, Middlesex Co., Mass. 3. Joseph Stone, b. 1697, Lexington, Middlesex Co., Mass. 4. Abigail Stone, b. Bef 1 Jan 1699, Lexington, Middlesex Co., Mass. 5. 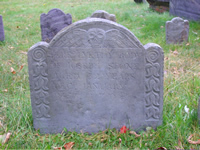 Sarah Stone, b. Bef 7 Nov 1700, Lexington, Middlesex Co., Mass.